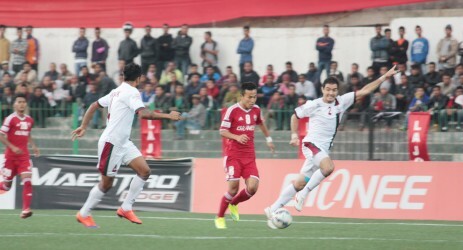 The Blue Tigers have moved up six places to 129th in the latest table released earlier today. India have climbed to their best FIFA ranking in over a decade. The team has moved up six places to 129th in the FIFA world rankings. In the latest table released by world football's governing body earlier today, the Blue Tigers moved up from their previous rank of 135. 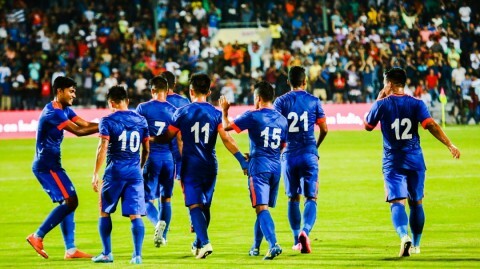 India have continued their steady upward curve and are now ranked 19th among Asian nations, with Iran the best ranked team from the continent at 29th. The Colts are the highest ranked South Asian outfit with the Maldives at 145th and Pakistan on 197. India manager Stephen Constantine said, “I think we have had a really good couple of years during my time and while results have been mixed, we have achieved what we said we would. Our ranking is at its highest since 2006 which is obviously great for Indian football. 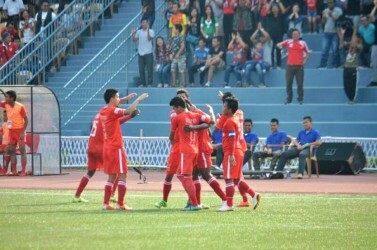 There is, however, a very long way to go to get to where I intend to take Indian football to, but I can say that we have begun our journey.” He added, “It’s been a total team effort." The Blue Tigers are targeting a place in the top 100 says goalkeeper Subrata Paul. India were ranked 171 when Constantine took over as national coach for the second time in February 2015 and slipped further to 173 in March 2015 in the FIFA ladder even before Constantine could have his first game in-charge against Nepal, which India eventually won 2-0 on aggregate. Arjuna awardee Subrata Paul, nicknamed the ‘Spiderman’ congratulated the footballing fraternity on the achievement. “We have managed to climb 42 places in less than two years. I feel that’s a terrific achievement. Congratulations to all the team members and the staff. There have been many positive developments in the National Team with a whole lot of new players having made their international debut. Constantine has been successful in building a team for the future and we will only improve with every given day. Our next target is to get in the top 100 in the FIFA rankings. That will be huge,” he stated. The rise has been consistent with the Indian football team since August 2010 when they jumped 11 places to move to 137 in the FIFA rankings released on October 20, 2016. The year-end of 2016 brought another achievement for Indian football in the form of a two-place jump to 135th in the world making it their 6-year highest annual ranking since 2009. Meanwhile, the top of the table remains unchanged with Soth American gians Argentina and Brazil being followed by world champions Germany in third.